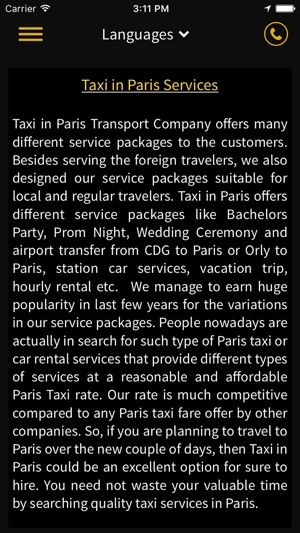 Looking for Paris Taxi App for Car hire in France? 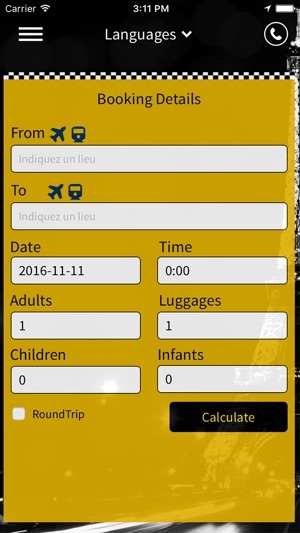 Our Taxi in Paris App allows you to book economy car rental instantly. 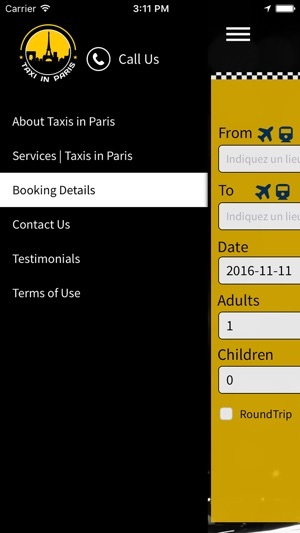 If you just landed in Paris and need of the best car hire France, worry not, all you need is the Paris taxi app and you ready to go. All you have to do is request a ride from the comfort of your mobile phone, and our driver will be there at the shortest time possible. With about 4000 drivers at your disposal, we guarantee that you will be picked in a few minutes after requesting for a ride with us. We understand that proper planning is essential in your traveling plans that are why we have given you the option of booking for a quick taxi or book early up to 14 days in advance in line with your schedule and avoiding the last minute inconvenience due to unavoidable circumstances. All our services are professional, and your satisfaction is our goal. We aim to offer economy car rental services that are affordable but with appropriate quality services. We have a wide variety of vehicles to choose from; we leave you with that choice. Ever tasted the fun of driving in an environmentally friendly vehicle? Then you just found it with us. -> 16 Passenger Cadillac Escalade White- This is the first taxi in Paris to give you the option to ride in electric and hybrid vehicles. Take this opportunity and get the first time experience with us if you never have. -> Passenger Lincoln Navigator- This accommodate up to seven passengers in a single trip. With a family adding up to almost seven, you will ride in one instead of taking two cars that can be costly. We have child boosters and baby seats onboard to ensure your child's safety and comfort is guaranteed while on board to your destination. -> VIP- get to your destination via our VIP vehicles with exemplary services and professionalism that you will not get in other modes of transit in our fleet. You get access to charging ports and free Wi-Fi while on board. Whether a station wagon, sedan white with black top or 14 – passengers excursion, we have all of them under our roof. While serving clients from all over the world, we acknowledge the language differences, and that is why we have English speaking drivers to ease the communication process and boost your personal engagement to make you more comfortable and be acquainted with the driver. 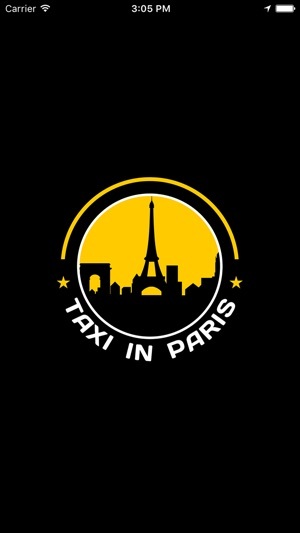 -> Taxi in Paris discounts; there are discounts during the event of Christmas and Euro football. Besides, we use coupon code for discount. 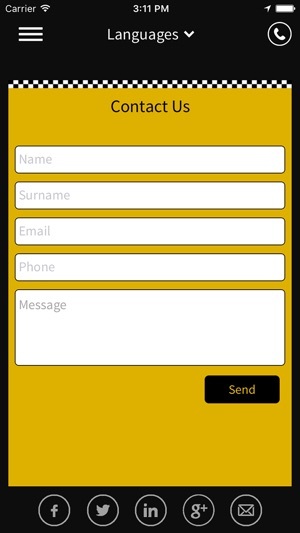 -> All payments are incorporated into the app, and you get the invoice via your email. -> All your booking history is stored in the app, and we regularly require you to give us your experience from time to time. 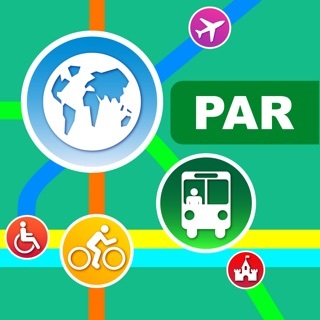 -> Once downloaded, launch it and choose your preferred service for the trip. -> Choose an immediate departure or the 14-day advance booking. -> Have a look at those around you at Orly south and west terminals. 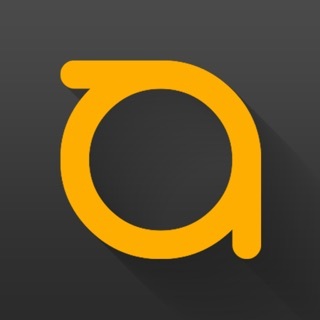 -> After choosing, track the arrival and estimate the real time for your departure. -> Choose the appropriate payment mode in the taxi. 1. Orly South and West terminals. 2. All terminals at Roissy Charles de Gaulle (CDG). If having issues with the app, contact our customer care that is available 24 hours, seven days a week in France. Application au top et service de qualité ! Rapidité,disponibilité. Site sérieux. Je recommande. Excellent services with drivers on time and good we will definitively book again with them, Thank you!